The Wanee Music Festival has grown in it’s eight years to become one of the nation’s best. The beautiful setting of The Suwannee Music Park in Live Oak Florida provides a perfect venue for the music and camping. The two main stages, The Peach Stage set in a perfect bowl, with plenty of viewing area and great sound was the setting for the larger acts, while the small Mushroom Stage is probably the best festival stage in the country . Surrounded a natural ampitheater by trees, this stage gives you the most intimate relationship you can have with a band. Two new stages were added in 2012 The Engine Barn Stage for Wednesday and Jorma Kaukonen’s Fur Peace Ranch provided additional entertainment in the Music Hall. 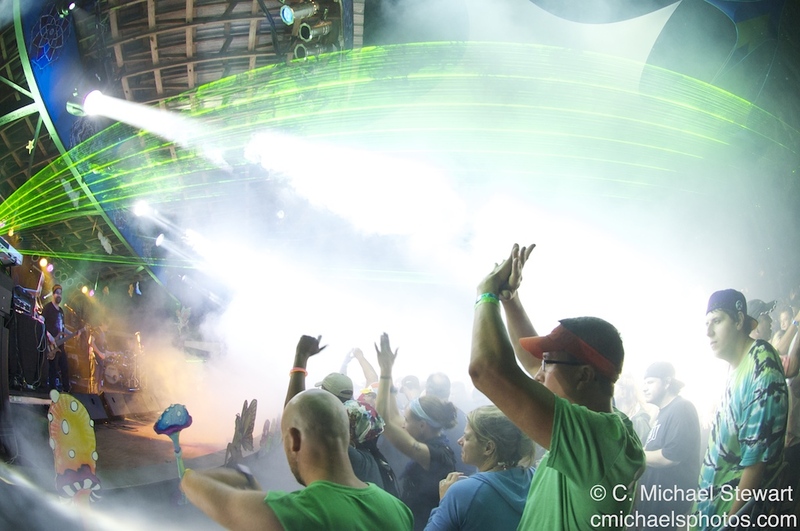 An estimated 30,000 people enjoyed the show which officially began on Thursday at the Mushroom Stage. This festival draws an older more knowledgable audience than most due to it’s lineup. This festival was filled with Hall of Fame acts who provided legendary performances with most dedicating their showor at least a song to honor the memory of The Band’s , Levon Helm who passed away the day the festival began. Helm had played Wanee in 2009. Although is billed as a pre festival event, several bands showed they will soon be well known on the music circuit. Flannel Church which included Duane Trucks on drums, (brother of guitar legend Derek and nephew of Allman drummer Butch Trucks), played a powerful set that combined funk with R&B. This band is filled with talent andtheir cover of Cream’s “ I’m So Glad” was a highlight of the festival. Local band, Cope finished the evening and was a crowd favorite mixing Pink Floyd’s “ Comfortably Numb” in their set. Former Doors member, Ray Manzarek joined with Delta Rhythm Kings, Roy Rogers for a talented set. Manzarek”s voice and keyboards reminded you of why the music behind Jim Morrison made the Doors such a great band. Rogers guitar was brilliant. Hot Tuna played an excellent electric set that kept fans out in the rain. Conspirator featuring members of the Disco Biscuits finished the night with a jamtronica filled show that had heads bobbing and fans dancing till the wee hours of the morning. Bruce Hornsby and the Noisemakers began a beautiful day of music with an outstanding set of jazz, folk, blues and rock. That included covers and hits he has played a part in for many years. British Blues guitarist, Matt Schofield showed why he has been chosen best British guitarist the past two years with a blistering set that made everyone a believer in his playing ability. I look forward to seeing his show again. When it comes to guitar , Hall of Famer, Buddy Guy is at the top. The man has lived and played with the best guitarist of our time. At 75, he still has the talent ,energy and the passion to take his fans on a walk through the years paying tribute to the guitar gods by mixing Clapton, Hendrix and Stevie Ray Vaughn into his set. His sound is unique and showmanship is unparalleled. 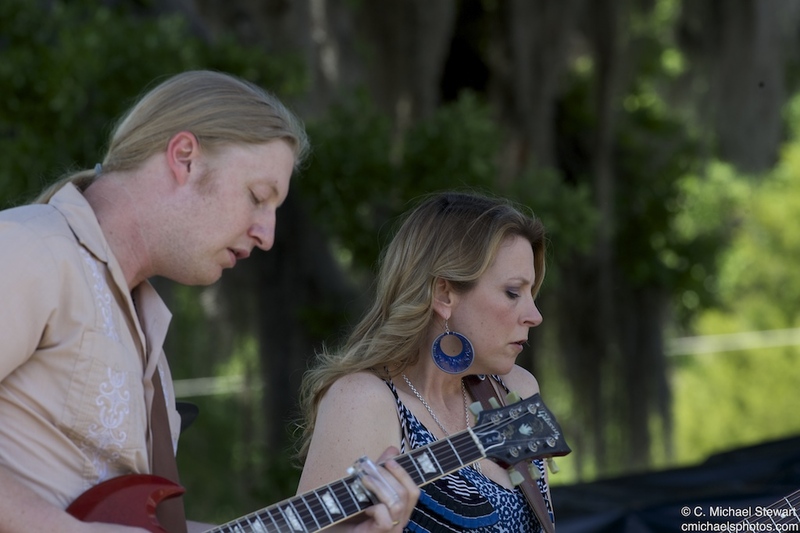 The Tedeschi Trucks Band had formed just before the the 2011 Wanee and stole last years show even in the rain. This time around the sun was bright and constant touring has made this band a well oiled machine. With Susan Tedeschi’s beautiful vocals and Derek Trucks heavenly guitar you almost forget to notice the outstanding music coming from Otiel and Kofi Burbridge and the rest of the band. The Mickey Hart Band was one of the best performances of the weekend. With a solid band that featured Dave Schools (Widespread Panic) on bass, Hart displayed his Hall of Fame talent on an elaborate drum set. Beginning with a powerful “Not Fade Away” the bands space rhythms carried the audience throughout the set. Those lucky enough to purchase the extra tickets to Fur Peace Ranch were treated to three shows featuring Jorma Kaukonen visiting with Jack Cassidy, Warren Haynes and Mickey Hart. The lawn of the Peach stage was completely full of dancing dead fans as Further took the stage at 5:30 for a nearly three hour jam. Grateful Dead members, Bob Weir and Phil Lesh along with the vocals and guitar John Kadlecik (Dark Star Orchestra) honored Levon Helm with “Don’t Do It” and scatter many classic Dead songs through the set. Phil Lesh looked healthy and seemed to enjoy the crowd and ended the show reminding the fans to consider donating organs as a liver transplant saved his life. The Allman Brothers Band took the stage nearly an hour late. No reason was given but it appeared Warren Haynes changed the set list just before the show began. There was an oxygen tank next to the organ and a frail Gregg Allman sang in only six songs in the evening. His voice was spectacular on “Ain’t My Cross to Bear” and his duo with “Blind Willie McTell. It was clear Gregg is dedicated to his music and this festival as he fought through his health problems to perform. Warren Haynes clearly led the band flanked by Derek Trucks. Several surprise songs included a beautiful and somewhat rare version of “Blue Sky”.The show was filled with amazing guitar solos. Guest stars included Bob Weir, and Susan Tedeschi who sang a terrific “Standback” and joined in on “The Weight” dedicated to Helm. The bands encore was a long“ No One To Run With”. Rain was intermittent throughout the day but didn’t dampen the Wanee spirit. The highlights included Trigger Hippy, a recently formed group of veterans including , Joan Osborne, Jackie Green and Black Crows drummer Steve Gorman. Osborne was spectacular on vocals and Greene brilliantly played keys and guitar. This is one band you must see. The highly anticipated return of Gov’t Mule was marred by a rain shorten set. However the band scorched through six songs before a drenched Warren Haynes called the show. The Mule left no doubt they are in full form after a 2011 with very few performances. Their version of “The Shape I Am In” was a festival must see. Leftover Salmon, Charles Bradley kept the Mushroom stage rocking and Big Sam’s Funky Nation took it over the top with the cover of Adele’s “We Could Have Had It All” ! As the rain’s cleared for the sets from Further and the Allmans crowds filled the Peach Stage to enjoy the final evening of the festival. After a long Further set that included a few more popular Dead songs the Allman Brothers Band took the stage. The show started with “Jessica” and featured many guests such as Luther Dickinson on “I Walk On Gilded Splinters” and Jimmy Hall (Wet Willie) on harp and vocals for several songs including “Statesboro Blues”. 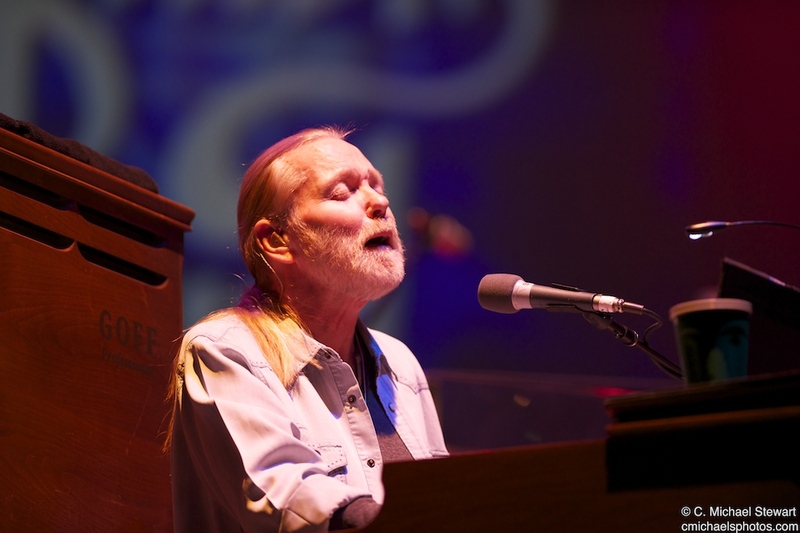 I was evident Greg Allman was not in good health as he sang and played only a few songs. Just this week Allman postponed his book tour and it was announced he has under gone heart tests. Allman was involved in the festivals largest highlight when he opened the encore singing a painfully beautiful version of Neil Young’s “Needle and The Damage Done”. The show ended with a “Southbound” featuring a stage full of guest stars including the first appearance at the festival of pedal steel wizard, Roosevelt Collier. North Mississippi Allstars closed Wanee with a rocking set dedicating it to former Allmans, Dickey Betts, Duane Allman, and Berry Oakley along with The Band’s Levon Helm the Mushroom Stage. The Wanee Festival has grown in it’s short eight years to become one of the most popular festivals east of the Mississippi. The crowd was near park capacity. VIP sold out in just two short weeks. Many VIPs are regulars who return year after year. At all music festivals, you have to make choices between musical acts you want to see. I missed several shows that I heard great things about. The lineups get stronger each year. One has to wonder how long The Allman Brothers Band can continue to headline this great event. It’s been an joy to watch this event grow. 2013 dates have already been announced for April 18-20. 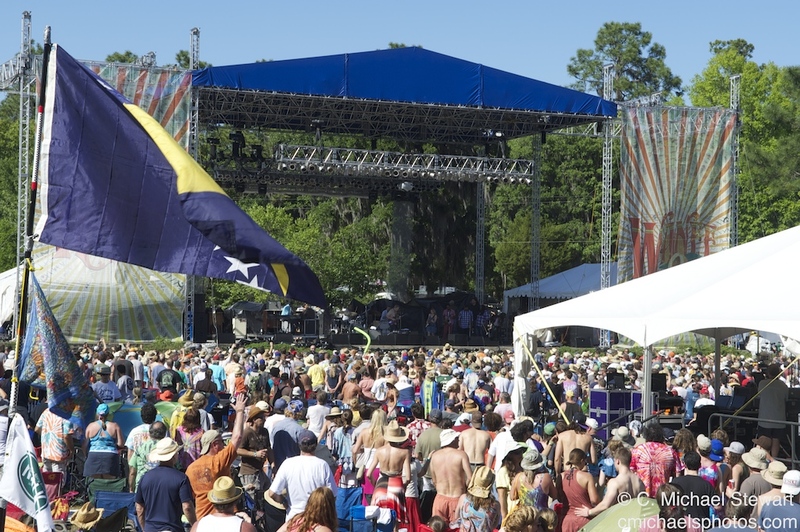 The Wanee Music Festival will go on. Hopefully with The Allmans and their extended family. A festival that started as a Butch Trucks dream is here to stay. There have been wonderful memories and friendships have been made at this festival. This legacy will continue for years to come. I for one will be there. SAN FRANCISCO, CA-The Mickey Hart Band will perform at Headliners Music Hall in Louisville, KY on April 10th.Hart is donating 100% of the ticketing fees from tickets sold on MickeyHart.net to Music Therapy research. Fresh off the road from a sold out 15 date tour in December, the Mickey Hart Band band features Tony Award winning vocalist Crystal Monee Hall, singer Tim Hockenberry, bassist Dave Schools, drummer Ian “Inx” Herman, guitarist Gawain Matthews, percussionist Sikuru Adepoju, and keyboardist Ben Yonas. The show will feature brand new material as well as selections of Hart’s greatest hits and Grateful Dead songs. 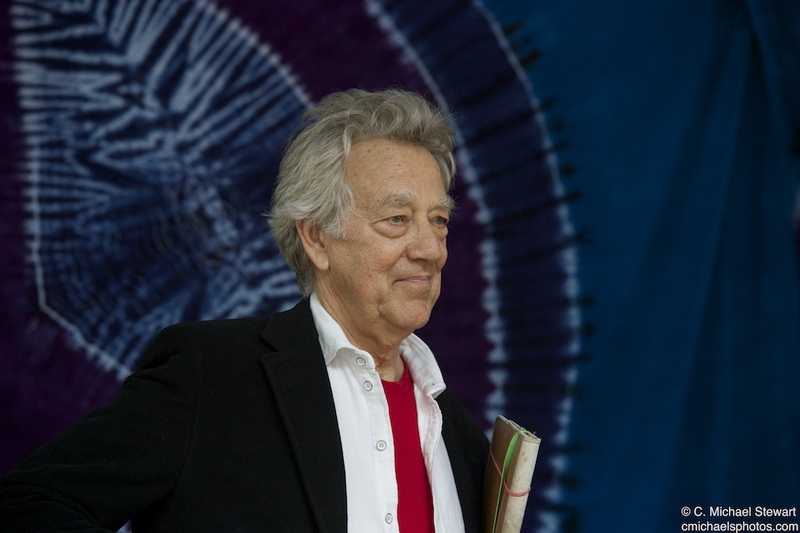 Hart last released the Global Drum Project with Zakir Hussain, Sikiru Adepoju, and Giovanni Hidalgo in 2007, which took home the Grammy for Best Contemporary World Music Album. Hart previously won a Grammy for Best World Music Album with Planet Drum in 1991, which also hit #1 on the Billboard World Music Chart, remaining there for 26 weeks. Last October, Smithsonian Folkways Recordings released the ‘Mickey Hart Collection’ to preserve and further the Grateful Dead percussionist’s endeavor to cross borders and expand musical horizons. Smithsonian Folkways has made many of Mickey Hart’s music projects available digitally (stream and download) for the first time while keeping physical versions in print as on-demand CDs. The Mickey Hart Collection begins with 25 albums drawn from ‘The World,’ a series Hart curated that incorporated his solo projects, other artists’ productions, and re-releases of out-of-print titles. Six of the twenty-five albums form the “Endangered Music Project,” a collaboration between Mickey Hart and the American Folklife Center at the Library of Congress, which presents recordings from musical traditions at risk. 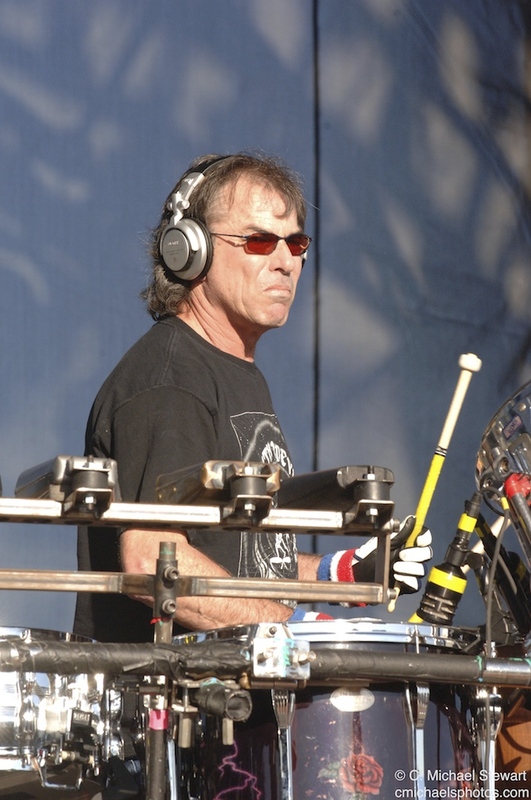 Mickey Hart is currently offering 15 free downloads on his site at MickeyHart.net/download.